Static builds up on the surface of good electrical insulators like glass, Teflon, paper, plastics, to name a few. Such materials build up charge readily because they don't conduct it away. It is called static because accumulated charge gets ever greater until something comes along to conduct it back to earth. We become that conductor when we feel the shock from touching the object. If the accumulated charge become so great, the discharge through the conductor - in the case that it is the human body - can be fatal. beautiful lightning caught on camera!!! saya jelesssss banget! 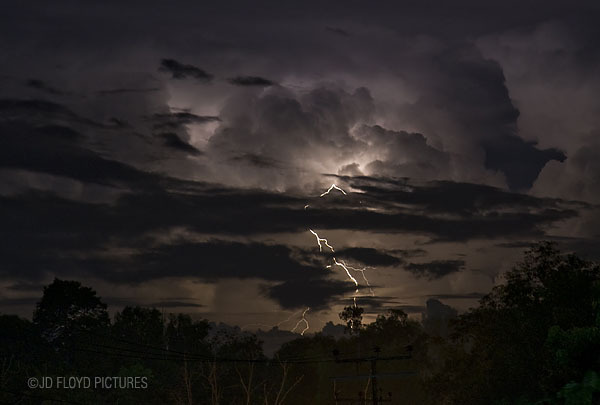 becos u've captured a lightning. nice! @gadisBunga - just lucky to be there at the right time.